Our GetResponse integration can help you grow your subscriber's list. It makes it easy for your website visitors to sign up for your newsletter while filling a pre-chat survey. Thanks to it, you can broaden the reach of your email campaigns. GetResponse is an email marketing automation platform. It comes with a wide variety of tools designed to deliver tailor-made offers to your contacts when they’re most active. The tool helps you build an email marketing strategy in a few simple steps. You can use a drag-and-drop or HTML code editor to create your email template. You can customize one of the 500+ pre-designed templates, or start from scratch and create your own. What's more, GetResponse lets you address your subscribers by name and include essential subscriber details in your messages. It lets you use dynamic content and deliver only the most relevant, personalized emails to your audience. Plus, the tool helps you measure conversion rates, compare follow-up messages as well as segment the subscribers’ list. Start growing your newsletter subscribers with just a few easy steps! Use our native integration to connect LiveChat with GetResponse with ease. Integrate LiveChat with GetResponse to increase the number of customers who will get your campaigns. Make sure that their emails won't go to waste! Add a new contact in Getresponse when a LiveChat chat ends. It's a perfect way to gain new subscribers and extend your email campaigns reach. Competitive advantage can be obtained by managing your products more effectively, and having good relationships with customers. With LiveChat, you can communicate with your customers in a channel they prefer while providing a superior customer experience. 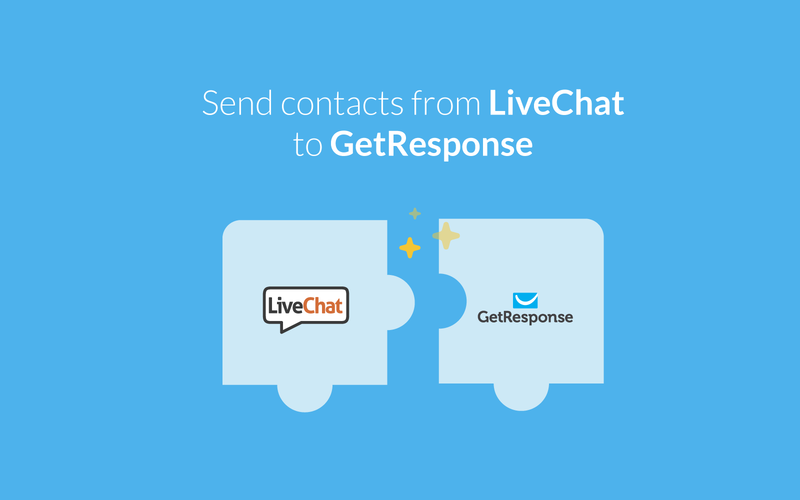 Start using LiveChat with GetResponse now!